Since this past weekend, I started a post that is currently approaching 8,000 words. I'm not quite sure what to do about it because it takes a rare breed to want to read that much about what I was thinking on Friday night. 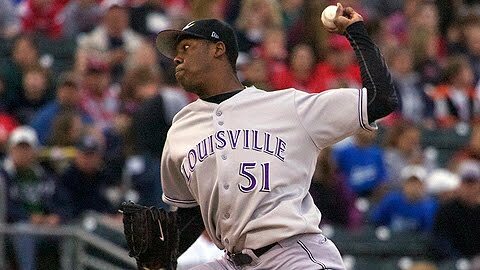 In the meantime, per friendly reader Osh's request, let's take a moment to look forward to the Major League debut of Aroldis Chapman. As most of you probably know by now, the Reds are calling him up today so that he is eligible for their postseason roster. You probably also know that he was clocked at 105 MPH on Friday night. I think that's the new record, if whomever keeps those records would verify it. What can we expect out of Chapman? Well, I hope all of you are running, not walking, to your roto team's free agent wire. Pick up Chapman. He will be pitching in relief, while he's eligible as an SP. So, you get a free reliever. He will help in ERA, WHIP, and K's, while potentially vulturing some wins or saves. 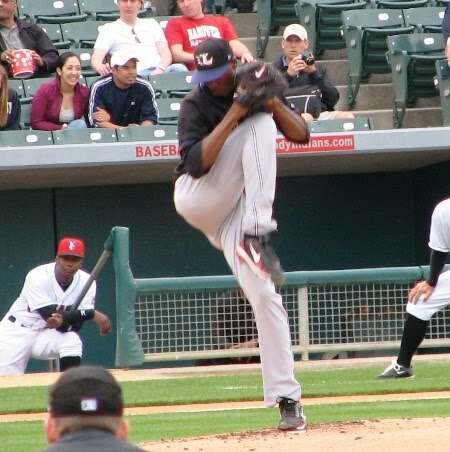 If you remember, Chapman had a very good Spring Training but didn't make the big club for Opening Day. They decided to place Mike Leake in the major league starting rotation, and Reds fans can't really complain about anything this year - except maybe trading for Jim Edmonds. 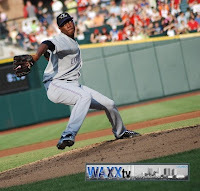 Once in Triple-A, Chapman showed fantastic stuff but struggled a little bit as a starter. 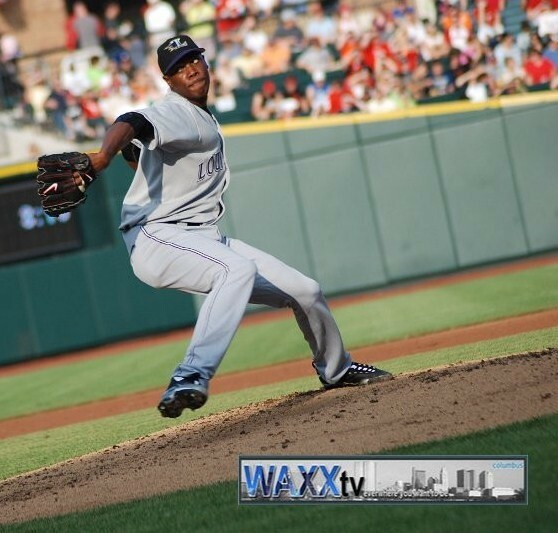 He was moved to the bullpen about nine weeks ago, and the results have been fantastic. Optimists expect an impact similar to what David Price gave the Rays when they went to the World Series. I'm in that camp, and I'm also getting very bullish on the Reds. We may have an updated predictions post because I'm beginning to think we'll have a Reds/Yankees World Series. Crazy. If you're still battling in fantasy baseball, go get Chapman. Once you're on the waiver wire, also look for a couple other young arms that can help: Jeremy Hellickson, who is also coming to pitch relief for the Rays, and Yunesky Maya, who will be taking over a rotation spot for the Washington Nationals.